“The ball is in the court of the Yemeni parties,” Ismail Ould Cheikh Ahmed told the Security Council. The envoy has presented a roadmap to the Houthi rebels and their allies and the Yemeni government to end 19 months of war that has left nearly 7,000 dead, mostly civilians, and brought the country to its knees. The proposals call for the appointment of a new vice president and the formation of a national unity government that will oversee a transition leading to elections. Under the plan, the Houthis would withdraw from Sanaa, Hodeida and Taiz and hand over their weapons in a process carried out in parallel with the new political arrangements. 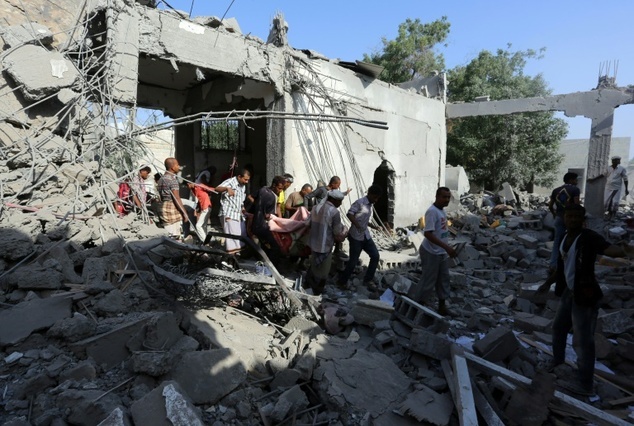 One of the poorest countries in the Arab world, Yemen slid deeper into chaos when the Saudi-led coalition launched military operations in March 2015 in support of Yemen’s President Abedrabbo Mansour Hadi.